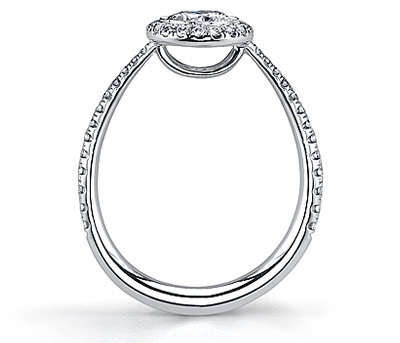 This ring features beautiful french pave diamonds which enhances the center diamond for a stunning visual impact. 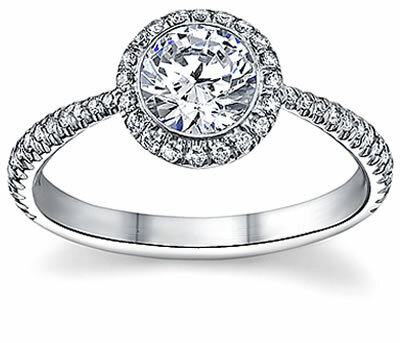 French pave rings are very popular and this ring shows why. 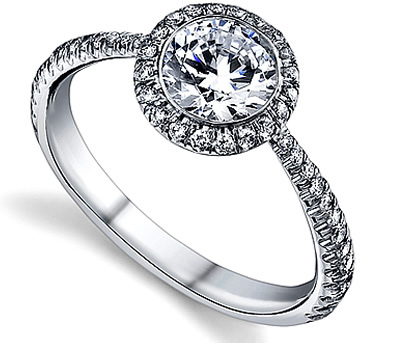 This 14k white gold ring is graceful and elegant in its design and look. A matching band is available and the center diamond is sold separately.